New Hope for Children Orphanage: Father paralyzed, mother abandoned him: Anil now knows the love of Jesus! "I am P. Anil. I am 8 years old and studying in 3rd grade. I like to play volleyball and cricket. My favorite school subject is English, and when I grow up I want to be a doctor. My father was paralyzed and my mother abandoned me. I do not know where she is. I love to study and New Hope Children’s Home provided me hope of a future. They also gave me good food, shelter, and an education. The caretakers look after me like I’m their son. I know Jesus and I’m glad he died for me on the cross. He told us to be righteous and to not sin because He didn’t sin. I am in need of a sponsor." 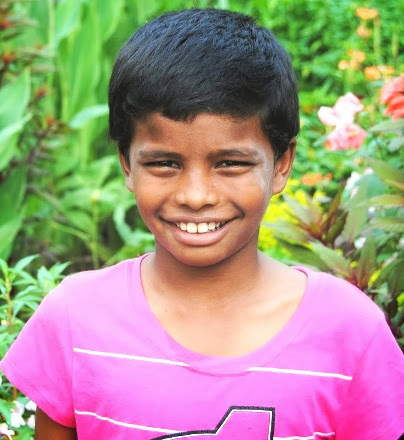 CLICK HERE TO SPONSOR ANIL!